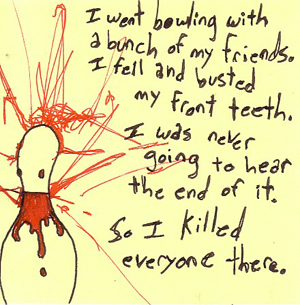 "I went bowling with a bunch of my friends. I fell and busted my front teeth. I knew I was never going to hear the end of it, so I killed everyone there."